LAS VEGAS (CN) – Just off the clamor and glitter of the famed Las Vegas strip, Bob Weiss – a semi-retired resident of Sin City in his 70s – exits the Post Office and explains why he is going to vote for Jacky Rosen in the looming race for U.S. Senate. It’s a common refrain from many people willing to divulge their votes on an unseasonably mild Friday in the desert. It became increasingly clear throughout the informal polling of residents in Las Vegas that the upcoming race to represent Nevada in the U.S. Senate – featuring incumbent Republican Dean Heller and Democratic Congresswoman Jacky Rosen – is less about the candidates themselves and more about their orientation to President Donald Trump. Once thought to be a layup for Rosen, recent polls indicate the race is a toss-up with Heller narrowing the gap. “It’s dead heat in the polls and it’s going to be close,” said Jon Ralston, a long-time commentator on Nevada politics and the editor of The Nevada Independent. Ralston also said the race is more about Trump than either of the two candidates or their policy positions. Corey King, a 33-year-old security guard at one of the casinos, said he’s voting for Heller because he is exasperated with the Democrats’ continual obstruction of Trump and his agenda. King said he acknowledges Trump doesn’t always behave in a presidential manner and he is not a fan of the president’s Twitter habit, but said his policies are effective and he is preventing Democrats from encroaching on his beloved gun rights. “I just don’t want to see Nevada turn into California,” King said. 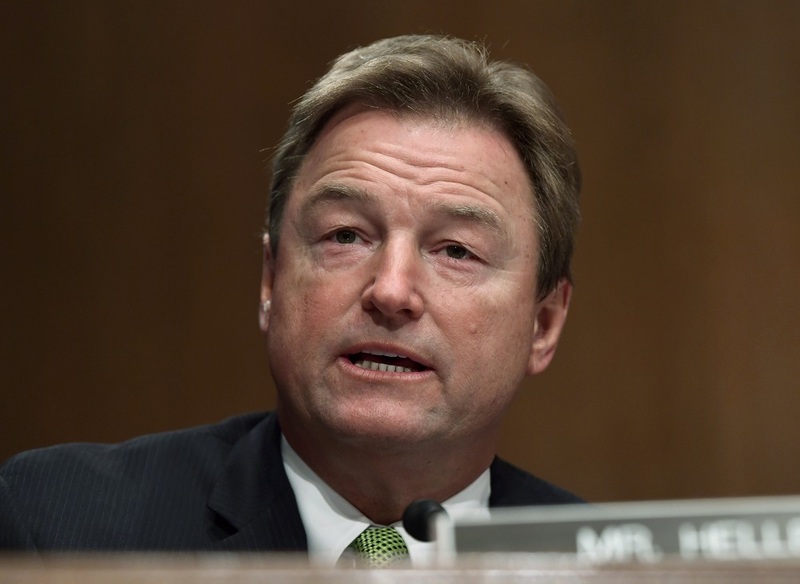 Heller, like many in the Republican party, started out keeping Trump at arm’s length, often expressing concern if not outright disgust about the president’s comportment and politics. But Heller has executed an about-face. Ralston said Heller is making a calculated decision that Trump’s popularity with the Republican base will outstrip his unpopularity among the rest of the electorate. “Nobody can energize the Republican base like Donald Trump,” he said. But Ralston also concedes Trump energized the opposition too, something, Rosen will need as she enters the final leg of the campaign. During the debate last Friday, Rosen repeatedly painted Heller as a rubber stamp for Trump and his agenda, but also hit Heller on his Obamacare repeal votes – something the Democrats have used nationwide to nail Republican incumbents. Rosen said Heller made promises to Nevadans, specifically to Teresa Bohannan in Reno. Bohannan’s son has a congenital heart defect, and Heller promised he would protect the pre-existing conditions provisions of the Affordable Care Act. “Then you went back to Washington and you broke your promise. You caved,” Rosen said. Heller pushed back, arguing he’d written several repeal-and-replace bills that preserved pre-existing conditions provisions. He also noted his two grandchildren have health issues. Apart from Trump and health care, the candidates diverge sharply on two major issues important to Nevada: guns and public lands. King, the casino security guard, said the issue is one of the most important to him as he routinely heads to the Nevada desert or to local shooting ranges to shoot his guns. “I feel bad when tragedies happen, but they shouldn’t penalize people like us who follow the law,” King said, referring the October 2017 massacre at a country music festival in Las Vegas, where 58 people were killed and hundreds more were wounded by a mass shooter who later took his own life. 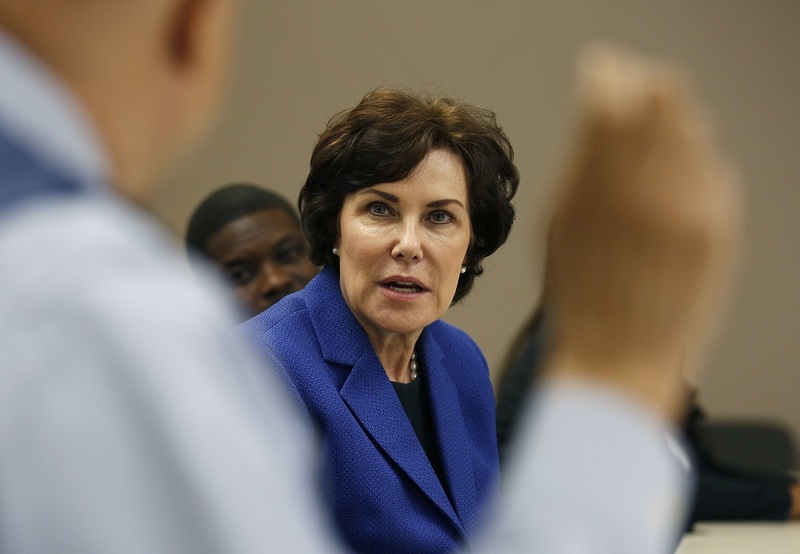 Rosen said she favors background checks on private sales and limiting high-capacity magazines while also being careful to state she would not impinge on individuals’ rights to own guns. Regarding public lands, Rosen said the ecotourism generated by the outdoor spaces in Nevada was important to preserve, while Heller advocated for selling off some of the state’s public lands to address affordable housing problems. The majority of land in Nevada is under federal control – 87 percent to be exact. While it chafes some Nevadans that their land use decisions are being made in Washington, many residents do not want to see their cherished public spaces in private hands either. Regarding the economy, many residents believe it’s doing well. “There is a lot of commercial construction on the strip right now,” said Kevin White, who runs a landscaping business and has lived in Las Vegas since 1966. But he is slow to credit Trump completely, saying the national economy has done well independent of his policies. Houston Green, who works in the University of Nevada, Las Vegas College of Education, said the Nevada economy has actually been hurt by Trump’s policies. As the race tightens in the final leg, Heller figures to continue to portray Rosen as someone who brings California money and values into the Silver State, while Rosen will tie the incumbent to the president while hitting him on health care. But a huge question is how the Latino vote will play out during the midterms. “It’s a very important question,” Ralston said. He points to a recent appearance in the state by former President Barack Obama, which also featured performances from hip-hop group Salt-N-Pepa and Columbian reggaeton star J Balvin and a speech from actress America Ferrera. The Heller campaign also recently ran two Spanish-language ads statewide, while Trump touted the low unemployment rate for Latinos during his Elko appearance. “Both campaigns are very concerned about it,” Ralston said.